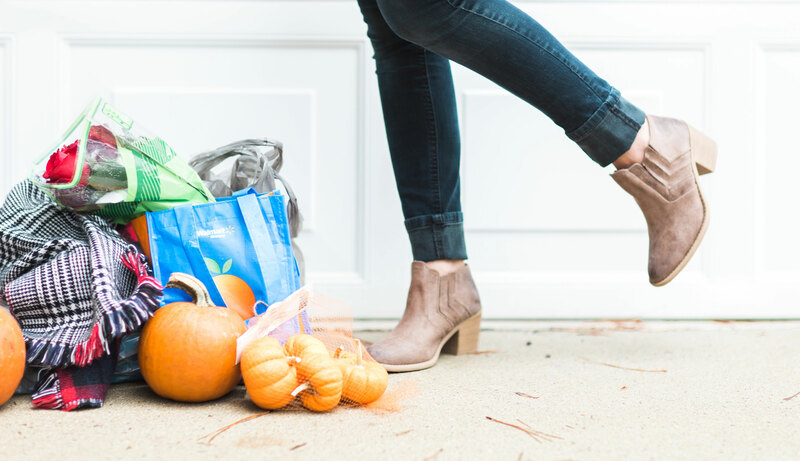 The Easiest Way to Grocery Shop | Glitter, Inc. This year I discovered something magical: online grocery shopping. I don’t know about you, but this was pretty life-altering for me. Sometimes I joke that “busy” is my middle name. Between running a business, a family, and trying to focus just the teensiest bit on myself every now and then, the groceries are usually at the bottom of my “to do” list. That is, until, we’ve run out of … well, everything. And then of course, if you have kids, you know what a struggle grocery shopping can be. Truthfully, long before I had a little one, trying to carve out time to shop for groceries (blah! ), always seemed like such a chore, but having a toddler just amplified that tenfold. Scarlett is the cutest and makes friends with everyone in the grocery store. She also asks for a new snack on every single aisle, throws at least 75% of said snack on the floor, and by the frozen foods aisle, she’s about had it, and I find myself singing “The Wheels On The Bus” at least twelve times before we make it out of the grocery store in one slightly more frazzled piece. So when Walmart reached out with their new online ordering, I nearly jumped off of my sofa at the chance. I mean, online grocery shopping means I don’t have to get out of my car and someone does the shopping for me! Hallelujah. And you can order days out, or the same day. So convenient. 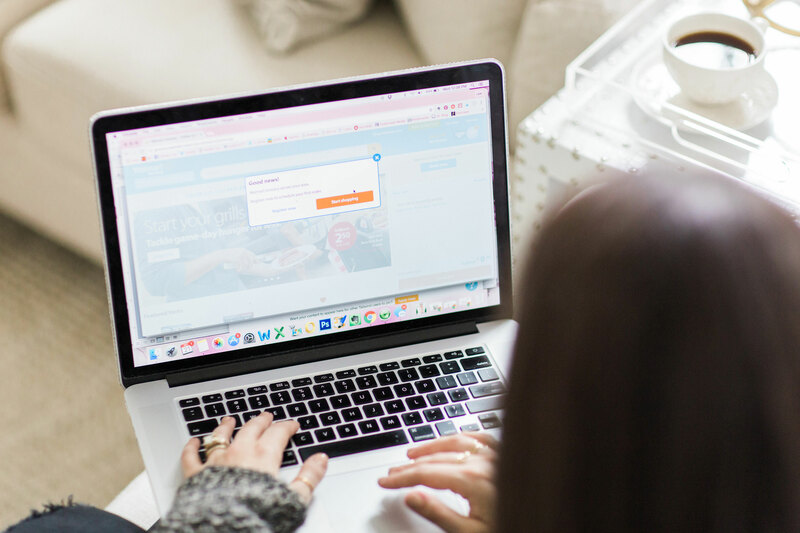 Every step of the Walmart Online Grocery ordering process was a breeze – from ordering online, to pulling up to the parking lot and waiting just a couple of minutes to have my groceries loaded into my trunk for me. 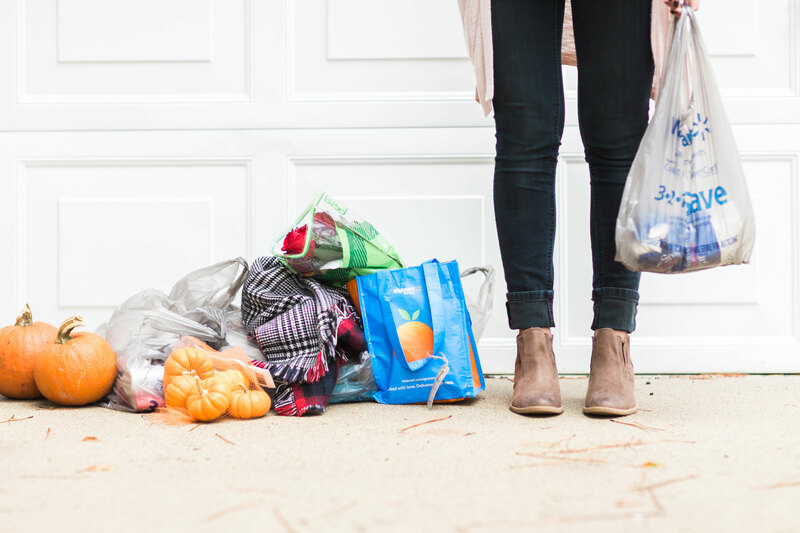 The convenience factor alone was enough to make this busy mama happy, but the fact that you can pick up more than just groceries – without ever actually having to go into a busy store to shop for them – at amazing Walmart prices, made me a convert. 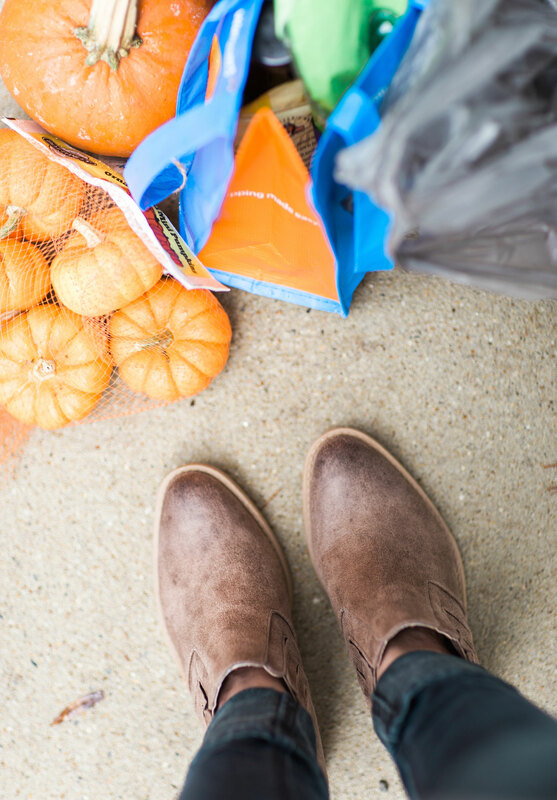 I was able to get all of our groceries, including fresh produce and meat, pumpkins (it’s fall, y’all! ), toys, hair products, baby gear, home décor, pots and pans, planets, gifts, crafts, the list goes on and on. If anything is missing, someone from the store will call you and ask if any alternatives will do. My local Walmart had run out of Diet Peach Snapple (anyone else addicted? ), and my store rep felt so bad about not having what I wanted, he sent a half-dozen free roses after I had asked about what kinds of flowers they had available. How nice is that? Pickup is super easy. 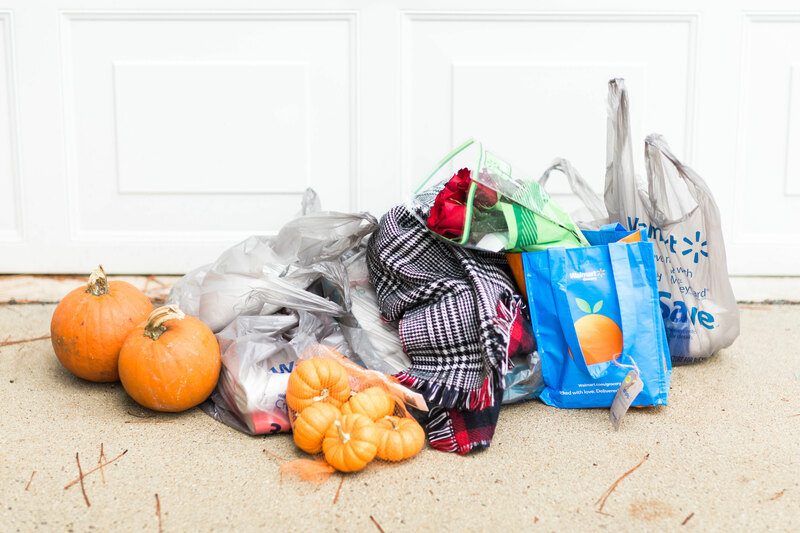 At your designated time – that you choose – go to your store’s grocery pickup location. Your local store will call and text you 15 minutes before the start of your time slot and will text and send you a “thank you” e-mail after you’ve picked everything up. You simply wait in a spot and someone comes to you. Oh, and did I mention the service is totally FREE? Someone shops for you for items at Walmart’s Same Every Day Low Prices, and then loads your car while you and your little one jam to Taylor Swift. I call that WINNING. Want to be a #GroceryHero too? 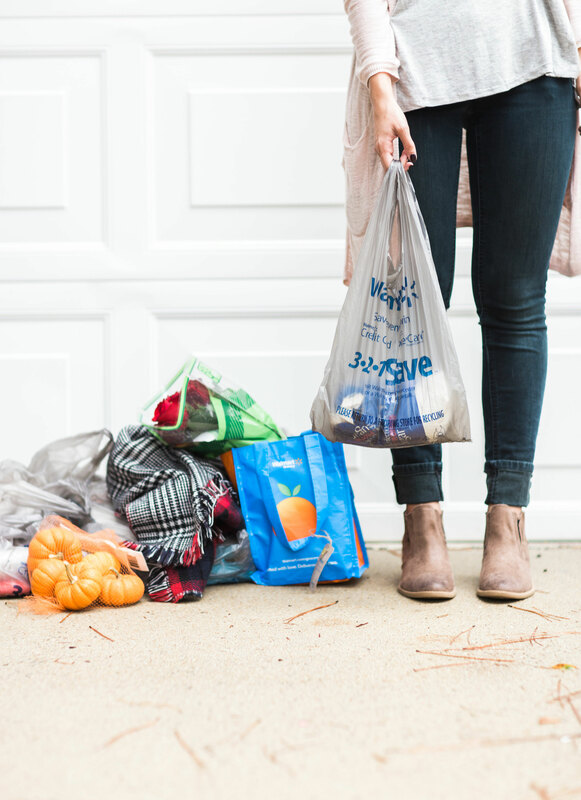 Head to Walmart’s Online Grocery site to see what stores are offering online grocery in your area. 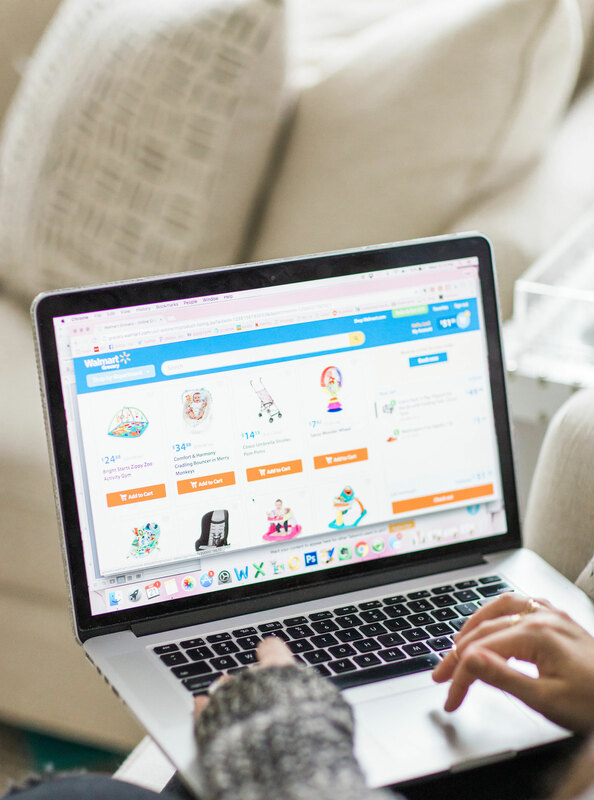 And the next time you order online, share your win by tagging @walmart with the hashtag, #GroceryHero and tag me –@glitterinclexi – so that I can send you a virtual high five! Happy online shopping! This post has been sponsored by Walmart. All thoughts and opinions are my own. Thank you so much for supporting the sponsors that make Glitter, Inc. possible! This sounds like my kind of grocery shopping!! So easy and convenient. Finally! Someone who understands about ordering groceries online! I have been doing it for like 8 years now and its like the best things EVER! Oh my gosh, yes! I can’t believe I didn’t figure this out long ago! wow. talk about life changing. i DO NOT like grocery shopping one bit. i always forget things on my list. this is amazing. can’t wait to try!!!! Me too! It just feels so overwhelming sometimes, right? Online grocery shopping sounds right up my alley!! I do this through Kroger and LOVE it. Saves me so much time and helps with impulse buys! Oh my! This would be SO convenient and helpful! I definitely need to give it a try! 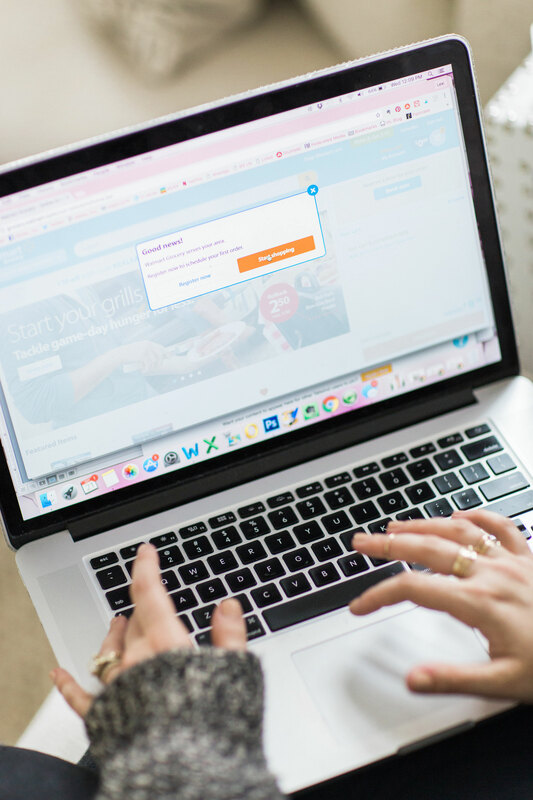 I’ve heard such good things about online grocery shopping but I still haven’t tried it! i need this in my life!! especially with winter around the corner, grocery shopping with babies/toddlers is not fun! How convient is this?! That’s so awesome. I will have to try it out! This is literally the best invention ever created. Such a time saver on the weekends!! Wow, that sounds like the best thing ever! Living in NYC, grocery shopping is literally my least favorite thing! Carrying all those bags back home is the worst. I’ll have to check this out! How cool is that?! Definitely need to look into this. I love online grocery shopping! Saves me a lot of headache. Here in SF we get them delivered. I shop at the local market and amazing meat/fish market down the street, but for all my other needs I get them delivered from Good Eggs (wonderful) or Instacart!